The problem is, companies are often afraid of hiring entry-level employees, especially in highly specialized fields like science, technology, engineering, and math (STEM). Start-ups and small businesses would rather hire professionals with experience who can hit the ground running without much training or hand-holding. This criteria certainly doesn’t apply to new grads, but that doesn’t mean you should overlook them as a rich, valuable resource to your business operations. As you’re planning out your 2019 hiring needs, consider making room for an internship program. By hiring college students and recent grads to take on meaningful entry-level tasks, you can affordably grow your business while giving a young, bright mind the opportunity to get hands-on experience in his or her future field. There are two ways you can approach an internship program. The first is the stereotypical “getting coffee and making copies” type of internship, in which an underpaid student is utilized as an unskilled administrative assistant. This may unburden your office manager for a few months, but the intern won’t take much away from the experience. The second (and arguably better) approach is an internship in which students get to learn directly from professionals who are doing the work they hope to do someday—and ideally, participate in projects that move the business forward. Companies in this camp may view an internship as an act of charity that doesn’t provide any long-term benefits to them. They’re sacrificing the valuable time and energy of higher-level talent, taking them away from their regular jobs to train naïve college students who will leave at the end of the semester anyway. The reality, however, is that taking the time to create a well-planned, strategic internship program can provide a tremendous advantage to both you and the young talent you hire. Students have agile, analytical minds and can provide your business with a fresh perspective. They are already in “learning mode,” so they’re typically quick to absorb and master new skills. Because they have little to no experience in the field, they likely haven’t picked up any “bad habits” from a previous workplace—you can shape them into the type of employees you need them to be. Yes, internships require resources and effort to do them right, but the end result is a workforce-ready professional who is ready to make real contributions to your industry. What Does a ‘Good’ Internship Program Look Like? A truly meaningful internship program provides opportunities for interns to clearly own something—a chance for them to add value to existing things or reignite a process you’ve ignored or broken. There are many lower-level roles in which someone can learn and still add value to a company. You can get interns involved in research or auditing senior colleagues’ work. They’ll learn and see where things can be adjusted or improved. In my own experience with interns, I’ve often put them on internal projects first because it takes away the pressure of client-facing roles. You may find some backburner projects that can be taken forward with a lot of enthusiasm. Ultimately, effective intern task planning is about determining where you need “good thinkers” (i.e., new grads) and placing your interns there—even if it means teaching them a new skill along the way. 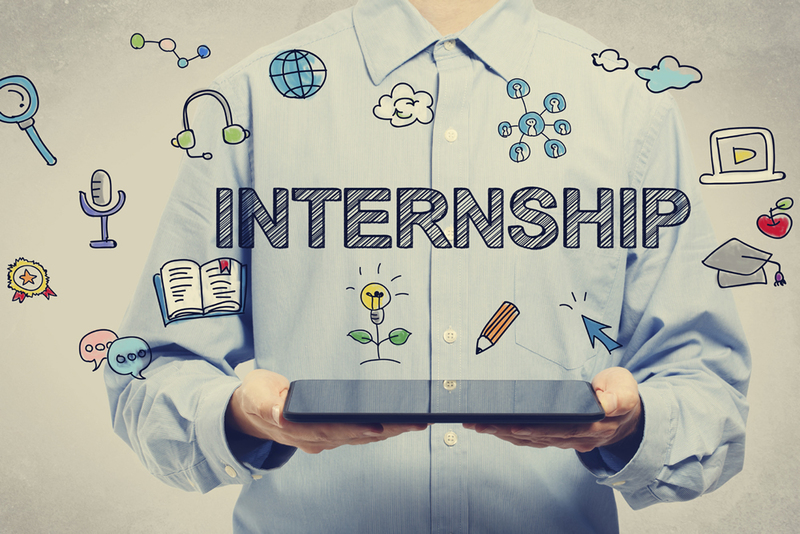 Above all else, a good internship program takes effort and commitment from an employer. I’ve seen companies struggle to create and manage internships. Small companies also don’t always have the HR infrastructure to recruit and hire for internship programs, so they don’t go ahead with it. Luckily, companies looking for help with intern management and guidance can engage third parties and consultants. These firms and individuals can make sure you have the right documentation in place and make your internship program more operational. Companies are often so focused on clients that they forget to build their own internal processes for long-term talent acquisition and retention. By creating a strong internship program, you can proactively address this issue by investing in your future talent pool. To accomplish this, you have to make room in your company for someone who’s still learning. Invest in a small cohort of interns. Start with one, then expand to two or three, and see where they go. This evolves into an opportunity for a boomerang: That intern—the one who already knows your company and your processes—may come back to you as a graduate for a full-time job. This is particularly important for STEM companies that want to fix a “leaky pipeline” of female talent in an incredibly gender-imbalanced environment. More than a quarter of women who enter a career in STEM are likely to leave their job within the first year. Exceptional internship programs that empower interns to leverage their skill sets in meaningful ways can show a young woman in STEM that she is valued and important in her field. That confidence can give her the drive and determination to continue on her career path and eventually make her way back to your company. It’s like the adage of giving someone a fish versus teaching the person to fish: By investing in interns, you’re making a sustainable change and a better future employee. By the time the internship is complete, you have a professional employee who’s in tune with your operations and ready to hit the ground running. You’ve just taught that person how to fish. Andrea Lewis is the strategic adviser for Geeky Girl Reality, a resource hub, job aggregator, and community for girls and women interested in STEM fields. She is a cyber-psychologist and user experience researcher working at the intersection of product, technology, and social change, specializing in usability research for global brands and multinational organizations. Lewis holds an AB in psychology from Harvard University and an MS in cyber-psychology from Nottingham Trent University.